Extra High Dog Door Gates to keep your dog where you want him to be. Extra high to discourage jumping these gate are easily adjustabl to fit most door widths. 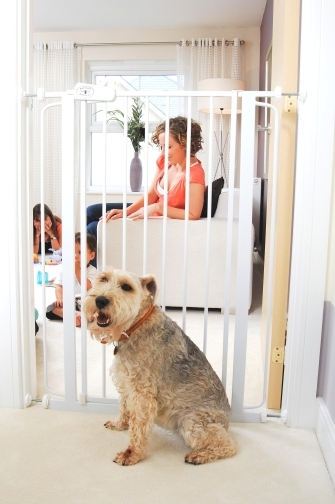 * Extra tall gate to make an effective barrier for pets. * Standard tested for children. * Double locking handle mechanism. Child-proof and can not be over tightened or work loose in use.